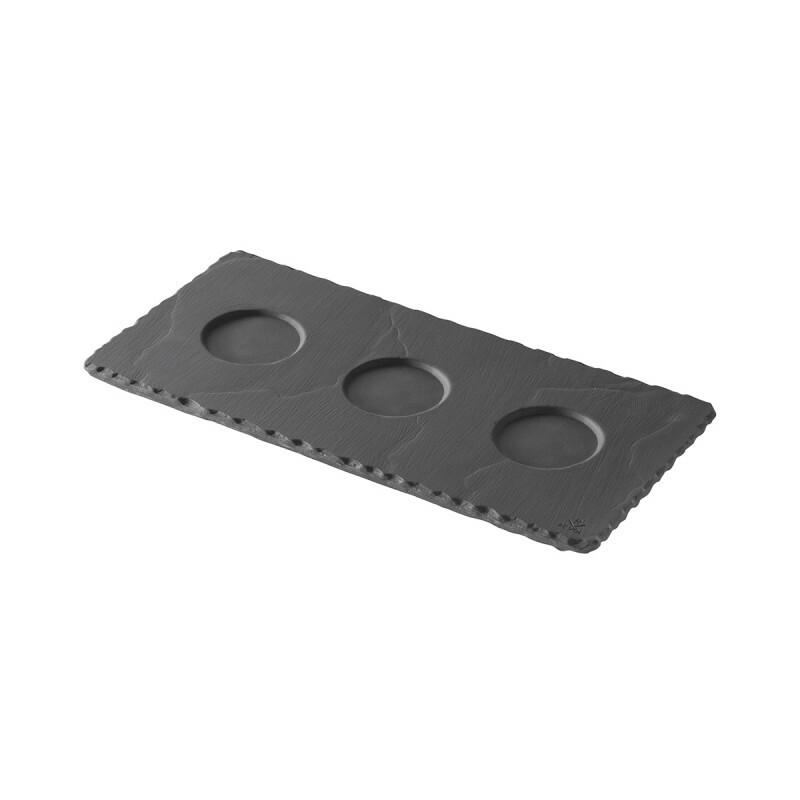 Rectangular Tray with 3 indents. Black ceramic. 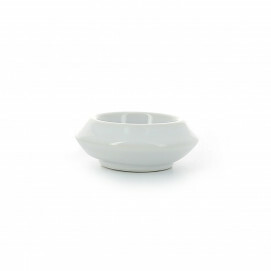 This serving platter will enhance your entertaining experiences! Pair it with Basalt mini bowls, it is the perfect tray to taste 3 olive oil flavors, or savory butters with our Grands Classiques butter pots, or any appetizers for parties. As Revol black porcelain is non-porous unlike slate stone, you will easily clean it in the dishwasher: no odors, fat or stain will remain. 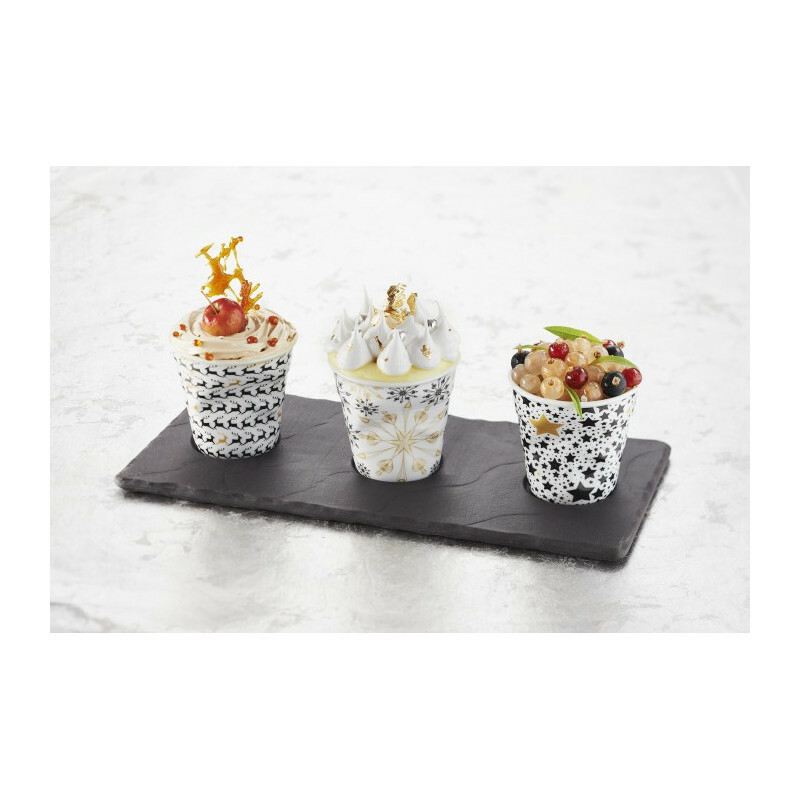 Perfect for outdoor use, for cold and hot food, you can have fun with our espresso Crumple Cups and prepare individual muffins or crème brulees, and bake then directly on this tray in the oven (up to 570F), and microwave. Use the indents to display the tastiest bites. Black all the way through, so you don’t have to fear chipping, this platter offers you endless serving combinations.